Guess What's 20% off if you pre-order it! Home / Guess What's 20% off if you pre-order it! 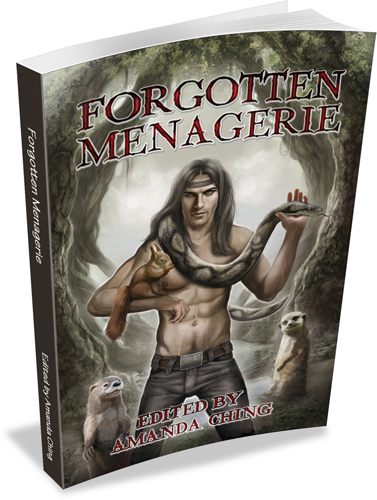 The Forgotten Menagerie Anthology!!!! Look, you can see Nathan sitting on dude’s arm! Here’s the link if you want to pick up a copy for the reduced price of $4.79 for the ebook or $7.99 for the softcover. You’ll notice the release date is now October 18th, instead of the 15th, because we like to be thorough.